I started the year having received a detailed response from Ofsted’s Sean Harford to this Just gimme some truth rant. It was a real surprise that he’d responded within 24 hours during the holidays. His response found its way into the TES, SchoolsWeek and BBC news – as Sean admitted that OfSTED isn’t as reliable as it could be. Reliability trials were hinted at. Always good to kick off the year letting off steam with some John Lennon. From SchoolsWeek. Click to read the full article. 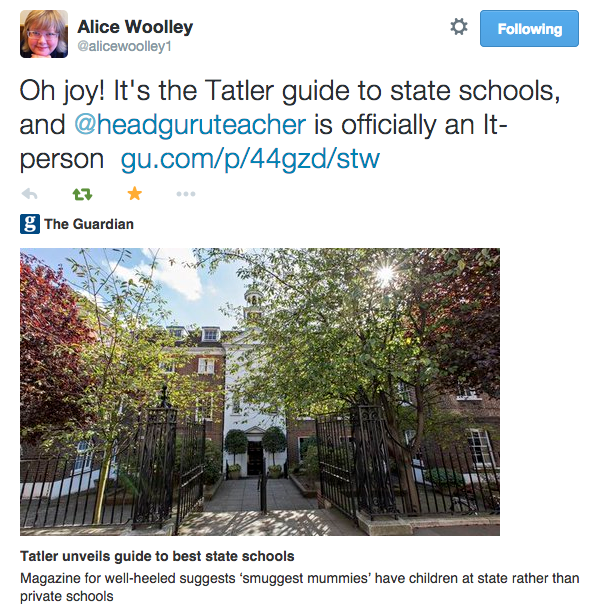 On new year’s day I woke to the news that my school was featured in Tatler. Bizarre and hilarious. The Tatler ‘self parody’ issue was quite something. I made big mistake writing a too-honest article about our behaviour management system for the TES. They twisted the emphasis via the packaging of the article and this led to it being picked up in the Daily Mail. 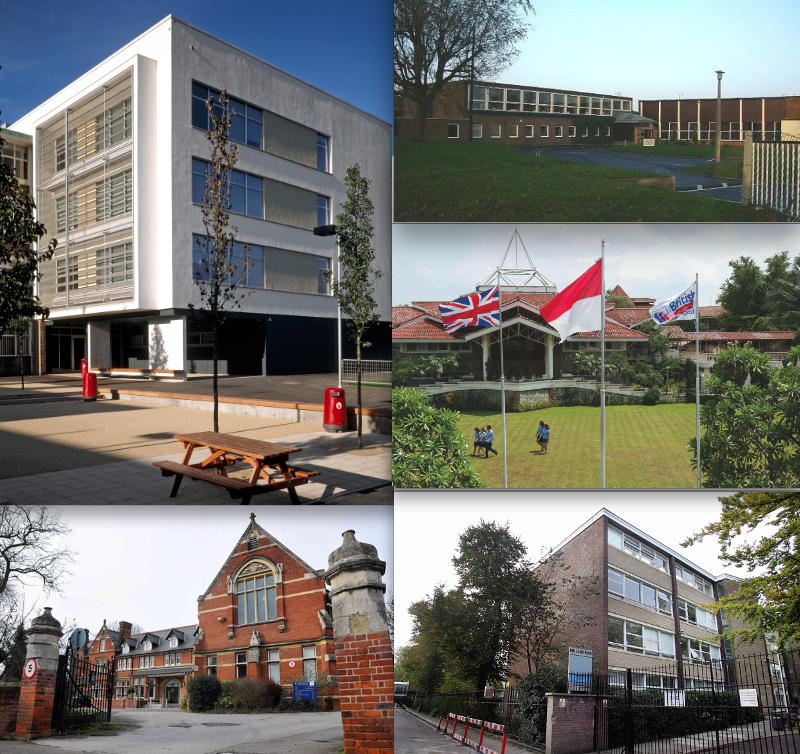 It still comes up very high on a google search for my school. It was massively disheartening because it distorts the truth of how things are at Highbury Grove in many ways. I needed to keep my mouth shut for a while. The story is captured in this blog – For the Record. The TES folk could not have apologised more profusely. My silence lasted six weeks. I even stopped checking my blog stats. (Tragic, I know.) However, after watching all of my staff teach I wanted to share the outcome. This was captured in this post: 90 Lessons: What we do well at HGS The response to that encouraged me to return to blogging full-on. One of the most read blogs of the year featured my exploration of Progress 8. Progress 8 – Looks Like Data Garbage To Me. I enjoyed the responses from Becky Allen at Datalab. It certainly needs a giant pinch of salt. My alternative would be much better in my view – but nobody’s looking for better ideas at this point. A surprise blog highlight was this : My Pedagogical to-do list It’s the kind of post I’d like to read more of – an honest reflection on things I need to work on. 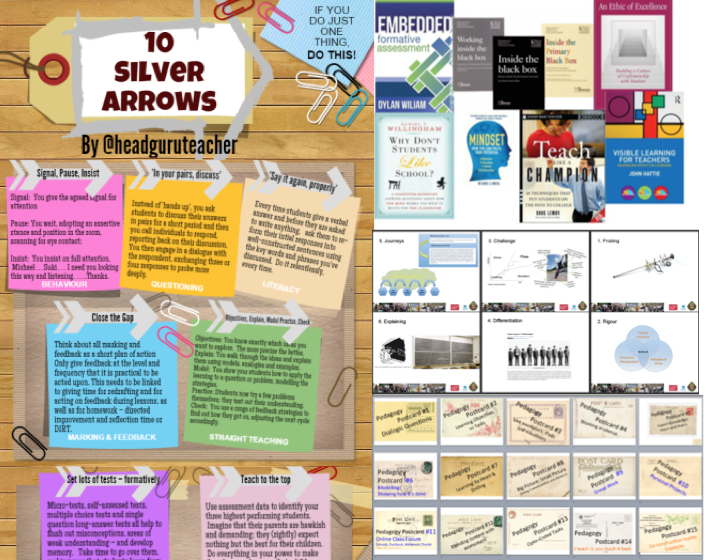 Another relative hit on the blog was one where I just recycled all my blogs about lessons in a list of links: Ideas for teaching better all in one place. It’s always the rants that get people reading. June featured two. 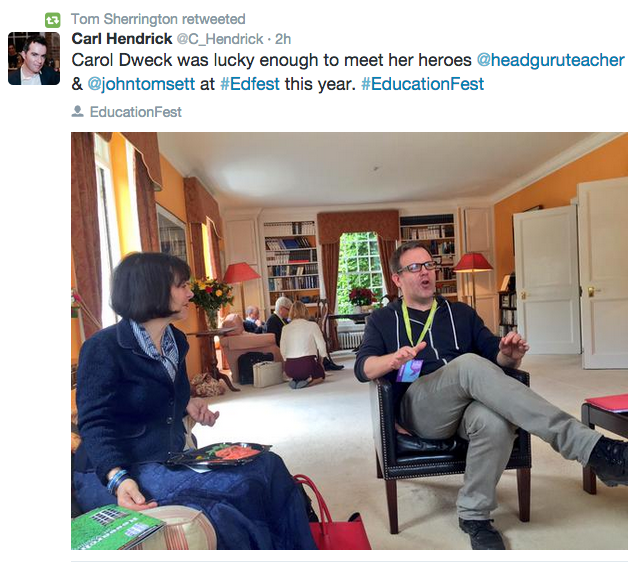 First there was this measured rant: Ebacc for all: Shackles on or off? In making a pro-Arts case, I’m suggesting that the current Ebacc is ‘pale and puny’. This resonated with lots of people. 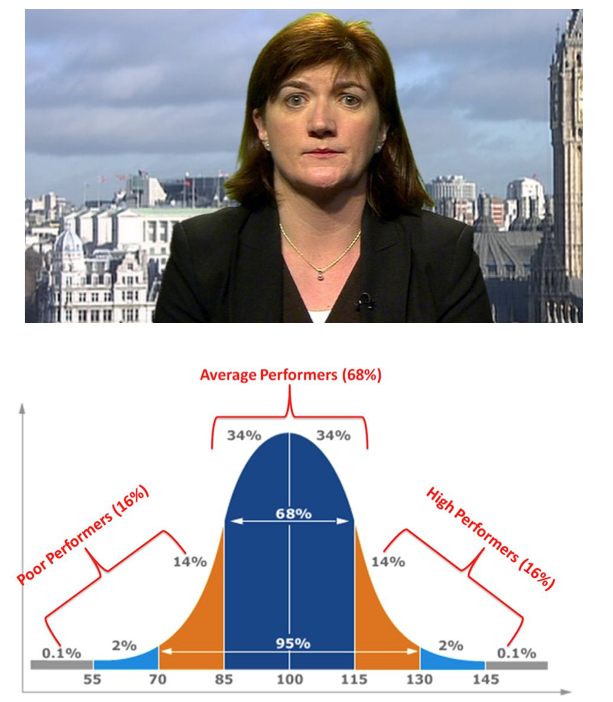 Bell curve. We can’t all be average or better. I was pleased with the response to this post – a summary of a talk I gave at an Education Foundation event. It outlines the ‘dark forces’ we’ve been fighting against but then lists all the reasons for optimism. In many ways I think we’re in better shape than ever. The summer brought a tough set of results for my school and, for a while, things were super stressful. September and October were the toughest working months I’ve ever experienced. Some of my angst was captured here. Walking the Tightrope. I’ve cheered up a lot since then. I was happy with the response to our Framework for Teaching and Learning and this post based on a talk I gave at ResearchEd. Research Literacy: Literacy Research – which includes a report of a bizarre encounter. I indulged myself with a career-report to mark my 50th birthday. Still feels strange to write that. I also shared a typical atypical working week. It was very exciting to launch the National Baccalaureate for England at the SSAT Conference. The NBT website is now fully live. The talk itself captured various ideas about teaching and leadership – Thinking big and small. I finished the year with two posts about bridging the disadvantage chasm. Part 1 outlines the nature of the chasm; Part 2 maps out the way to bridge it. Basically this describes the mission we’re on at Highbury Grove. Finally, these are the people who’ve influenced my thinking this year. Thanks to everyone who has supported, challenged, commented and influenced me in one way or another. I always enjoy reading this end of year summary blog from you Tom. I’m not surprised by the TES story at all, but it is good to know that they are have apologised. I really do hope that we can sort out the EBacc and Progress 8 in 2016, and see 50% of schools still grading lessons, drop to less than 25% by the end of September 2016! Keep up the good work and please keep ranting! We all rely on you to say it how it is!